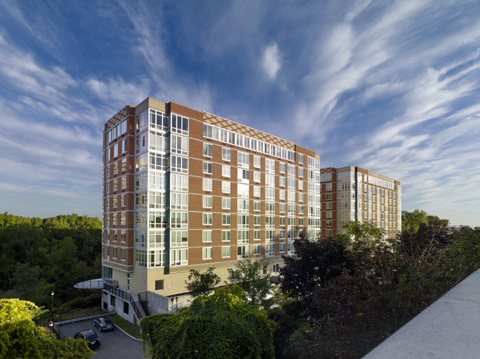 PALISADES PARK, N.J. – – MWHF Palisades Park, LLC has announced the sale of the first penthouse home at Trio, the new upscale condominium community in Bergen County’s sought-after Palisades Park. The 10th-floor penthouse – one of the largest homes in the distinctive building – features 1,621 square-feet of living space with two-bedrooms and two baths. According to The Marketing Directors, the building’s marketing and exclusive sales agent, the home sold for $565,000, the first sale at Trio to surpass the milestone $500,000 mark. 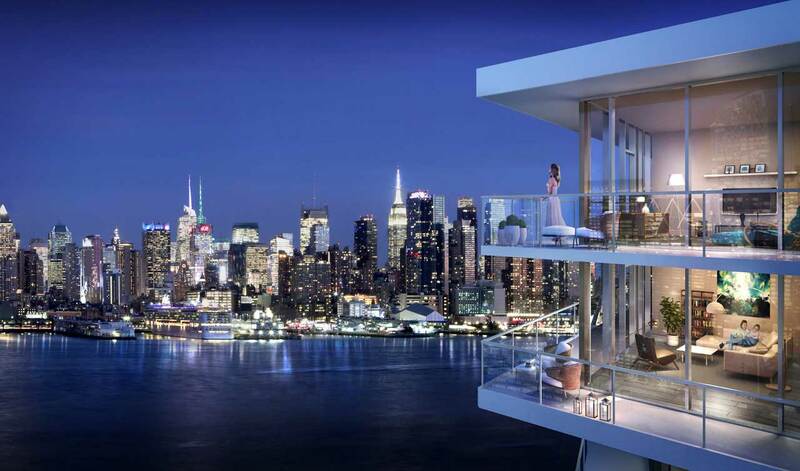 The penthouse was sold to a family relocating to the area from upstate New York to be closer to family and friends in New York City. Trio features luxurious one-, two- and three-bedroom condominiums priced from just $310,000, with immediate occupancy available. Residences range in size from 742 square feet to 1,751 square feet and boast designer elements including floor-to-ceiling windows, hardwood floors and modern recessed lighting. Gourmet kitchens include granite countertops, stainless steel GE appliances, custom maple cabinets, and Kohler fixtures. Designer bathrooms feature Crema Marfil marble floors, granite countertops, custom maple vanities, and Kohler fixtures. All homes come with individual washers and dryers. Immediate occupancy is available. Trio also features an exciting suite of newly-renovated, five-star recreational amenities including concierge service, a lounge with billiards, ping pong and large screen TV with catering kitchen; state-of-the-art fitness center, a yoga studio, game room, virtual golf simulator, outdoor terrace and a business center are all located within the buildings as well. Covered parking is also available. Located at 800 12th Street, Trio is ideally situated in an established residential neighborhood minutes from the George Washington Bridge and a number of transportation options, including bus service. Shopping enthusiasts will find a myriad of opportunities at nearby malls, such as Riverside Square and Garden State Plaza, as well as a host of brand-name stores, specialty shops and boutiques, which line Route 4 and Route 17. “Of course, the proximity to the George Washington Bridge and New York Waterway ferry service puts Manhattan’s business, social and cultural offerings only minutes away,” Ms. Urgo adds.